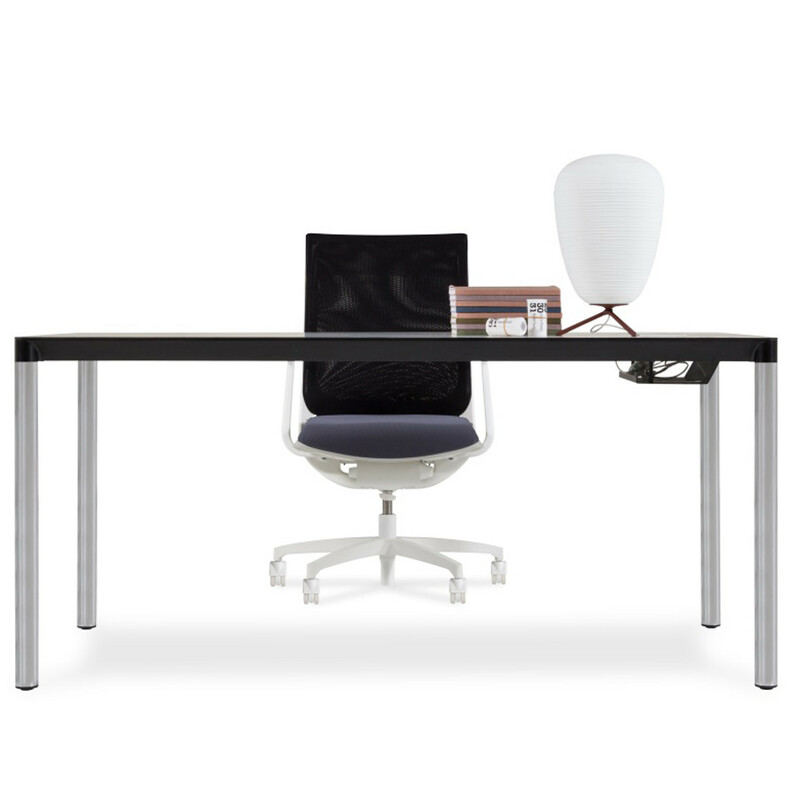 Calvino Office Desks by designer Studio Kairos offer single desks with returns, attached to pedestals and management level desks. Calvino was developed as a novel concept for companies who have environments where they want to embrace new ways of working. The brief for the project was to “erase the industrial memory”. This erasure takes physical form by optically reducing table top thicknesses and softening the support legs. Instead of the ubiquitous 18-25mm composite desktop thickness one experiences only an attractive thin line of 4mm of top surface joining with 2mm of tapering aluminium support frame. The legs are not a rectangular section with a sharp corner, but tubular limbs that meld seamlessly into the soft profile of the structural under-frame. 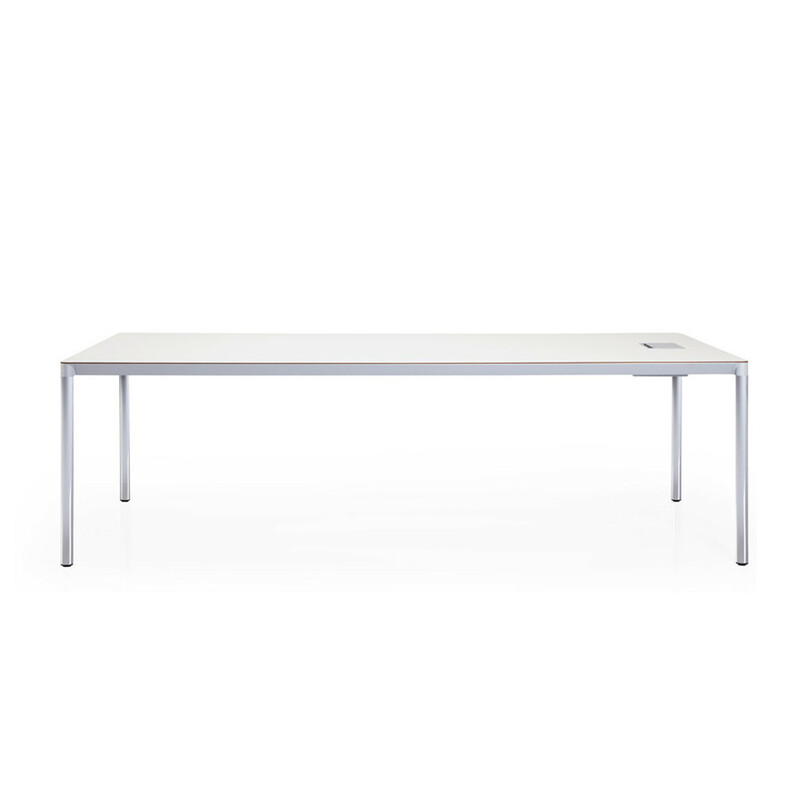 All of Calvino Office Desk's accessories are either self standing – easily removed at any time with the minimal use of tools – or positioned to the edges of the table frame on two deliberately thin legs. 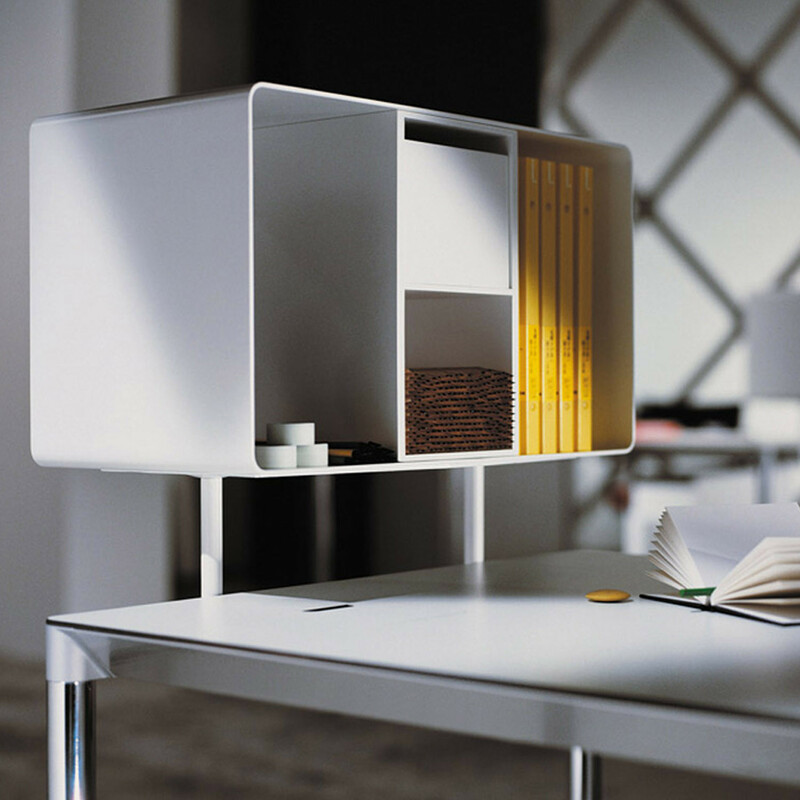 Thanks to the structural qualities of Calvino, it is possible to attach the following accessories: shelves, screens, lights or box files. The cables are carried from the floor box to the table with the vertical power ducts that also help support the elegant structure. Through a play of shades from using matt and gloss white finishes Calvino creates and presents a contemporary monotone design. 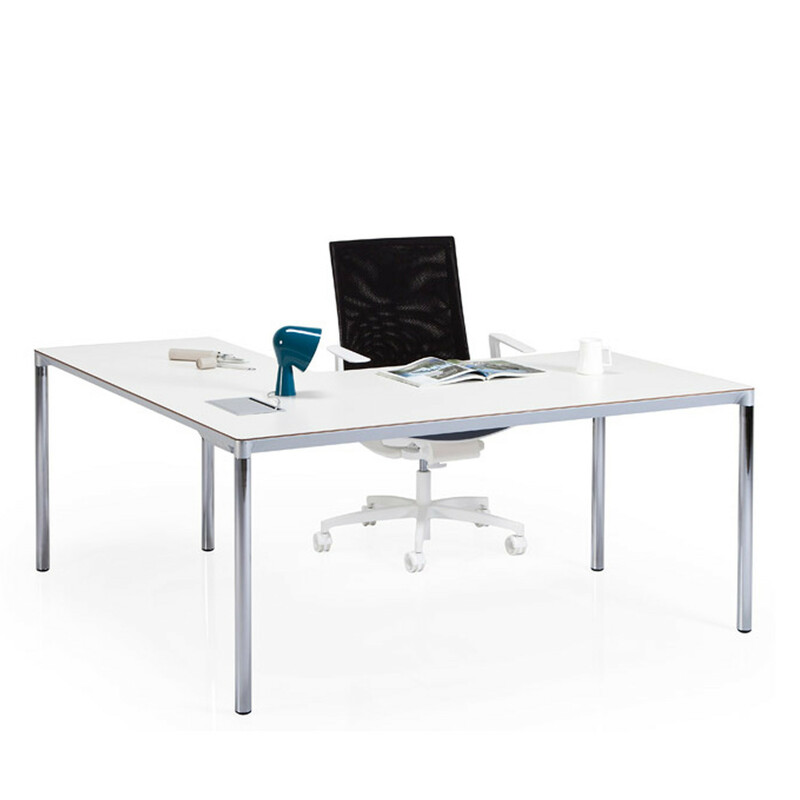 You are requesting a price for the "Calvino Office Desks"
To create a new project and add "Calvino Office Desks" to it please click the button below. 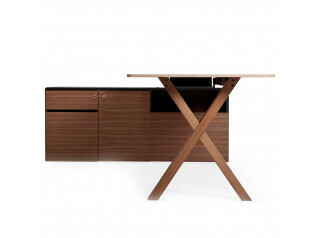 To add "Calvino Office Desks" to an existing project please select below.